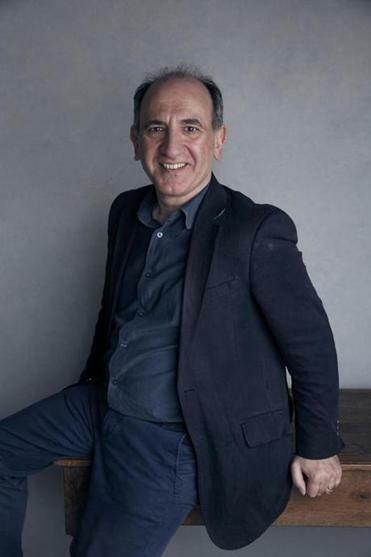 Few political satirists are as skilled at balancing horror and hilarity as Armando Iannucci, the Scottish filmmaker behind “In the Loop” and HBO’s “Veep.” His most popular projects — all unsparing portraits of bureaucratic ineptitude — have alternated between skewering British and American politics but each is infused with his uniquely acerbic, cringe-inducing sense of humor. 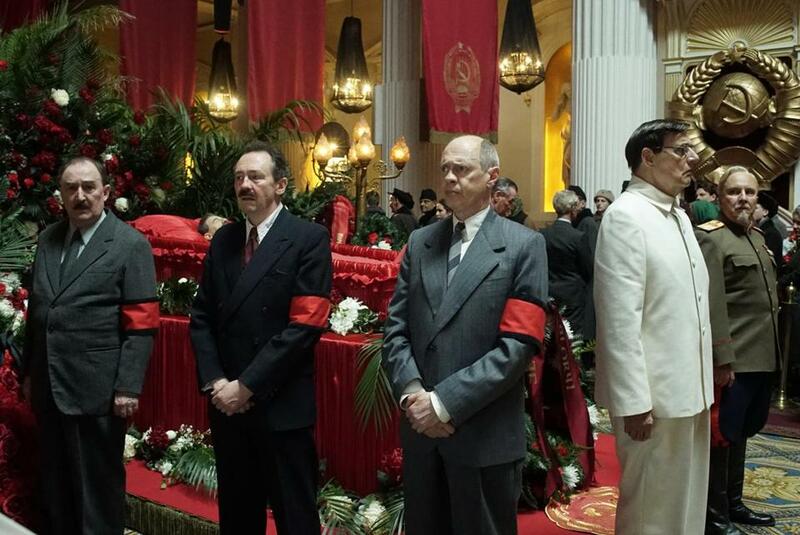 In Iannucci’s latest feature-length film, 1953-set “The Death of Stalin” (opening here on Friday), the titular Russian dictator’s sudden and ultimately fatal stroke precipitates a vicious war of wits between his avaricious underlings as they seek to gain control of the Soviet Union. Such a tumultuous and bloodstained chapter of Russian history is not inherently the stuff of comedy — which is precisely what attracted Iannucci, 54, to the project, he says by phone from the United Kingdom, where he’s scouting locations for a “David Copperfield” film adaptation to star Dev Patel. A. I was thinking about doing something about a fictional, contemporary dictator. Whether it was a dictator of America or Britain, I hadn’t decided. Strange things are happening in democracies all over the world at the moment. But then [the French graphic novel “La mort de Staline,” by Fabien Nury and Thierry Robin] was sent to me, with a request to think about doing it as a movie. And as soon as I read it, I thought it was the story I needed to tell. What’s more, it’s true, it happened. So, it was a pretty instant decision. Then we shot it, I believe two summers ago, so pre-Trump, really. But now it’s being released in a cold air of Trump, Putin, Russia, “fake news,” and the president calling the media the enemy of the people, and that whole strange, rather disturbing agenda that’s going on. Q. Did you sense similarities between current political figures like Trump and historical dictators like Stalin? A. The comparison with Trump has actually been made more to Mussolini, who was lightly comical with his facial expressions, his gestures, his stances. But, absolutely, and it all serves to remind you that the thing with Mussolini, with quite a lot of these people, is that they do arise, and they’re voted in, as products of democracy. It’s telling you not to assume that democracy, because you have it, is perfect and permanent. It has to be continually looked at, championed, defended, renewed — which is why it’s important people take part in elections and don’t bow out, decide not to vote. Q. You’ve made your name writing sharp political satires. How would you tackle what’s happening in modern global politics? Q. Russia banned the film two days before it was due to be released, but you held press events in the country prior to that. What was your experience like there? A. I think that was a fear of black, independent humor, really. . . . What’s been interesting is that the Russians have seen it — and it was playing in a Moscow cinema for a couple of evenings before it was stopped, and the Russian press had all seen it because I’d done my day of press with them a month before — all said they enjoyed it. They said it was two things: it was true, and it was funny. When we were writing it, we made sure the comedy arose from what happened, rather than us imposing a contrived set of jokes over what were rather grim events. Q. The film has a mordant streak, but there’s a palpable sense of menace to it that feels true to the time period. A. The idea is to try to replicate in the audience the kind of low-level, constant feeling of anxiety that must have existed at the time. And we also went to a lot of trouble to make it look exactly right; one of the nicest compliments people in Russia have given us is to ask, “Where in Moscow did you film this?” And we didn’t. We filmed it in London. But we went out to Moscow and looked at Stalin’s statue, went to the Kremlin, and found the exact look and feel we wanted to replicate. That grounds the comedy and the farce in something that feels genuine. Q. Did you utilize any satirical literature from the time period in service of getting the humor right? A. Russians had joke books, filled with jokes about Stalin, that we looked at. You could be killed if you had one of them on your person. But they still printed them and circulated them, almost saying, “If we can still find you funny, if we can still make jokes about you, then you haven’t really won the argument, have you?” That kind of grim humor was important to them. It was a private protest, you telling someone else that your beliefs hadn’t been entirely changed. I will say, any politician who can’t take a joke against them is highly suspect. . . . I think often about Trump’s tweets about Alec Baldwin doing an impression of him on “Saturday Night Live,” how lame it is, low ratings and everything. Q. Twitter has certainly unlocked a new channel of communication between politicians and the citizenry. Do you think Stalin would have used it? A. I don’t think he would have tweeted. [laughs] He would have had a whole team of people tweeting, and they’d go to work scared. They’d be scared if their particular tweets couldn’t get many retweets. He’d probably have a quota: 10,000 retweets by the end of today.